In the summer of 2006, my three best friends and I were recovering from the shock of our first year of college, barely surviving the retail jobs that we’d gotten to pay for our Chipotle, and spending every spare second in between watching Lois and Clark: The New Adventures of Superman on DVD. If you’re familiar with the campy goodness that was Lois and Clark, you can assume that as we re-watched it, there was a lot of laughing, both with and at the show. Watching a love potion sweep Metropolis and cause Lois to do the “Dance of the Seven Veils” for Clark was, well, special. Still, there was something endearing in its only-in-the-90s commitment to the ridiculous. Of course, the irresistible combo of Terri Hatcher’s spunky, no-nonsense bob and the wholesome attractiveness of a Kryptonian Dean Cain which helped. And content wise, the writers somehow made Clark, this grey by-product of 1930s plot convenience, into a character we’d want to watch from week to week. When we were kids, it had been imperative to be in front of the TV on Sunday nights to watch Clark balance his life at the Daily Planet and his life in tights. And even in our first season of adulthood, that same affinity for him we’d had as kids came back in those lazy days and again, we found ourselves glued to the set. Now, as fate would have it, this was the same summer that Bryan Singer brought us Superman Returns and, way too excited, my friends and I went to see it. There were a lot of feelings. 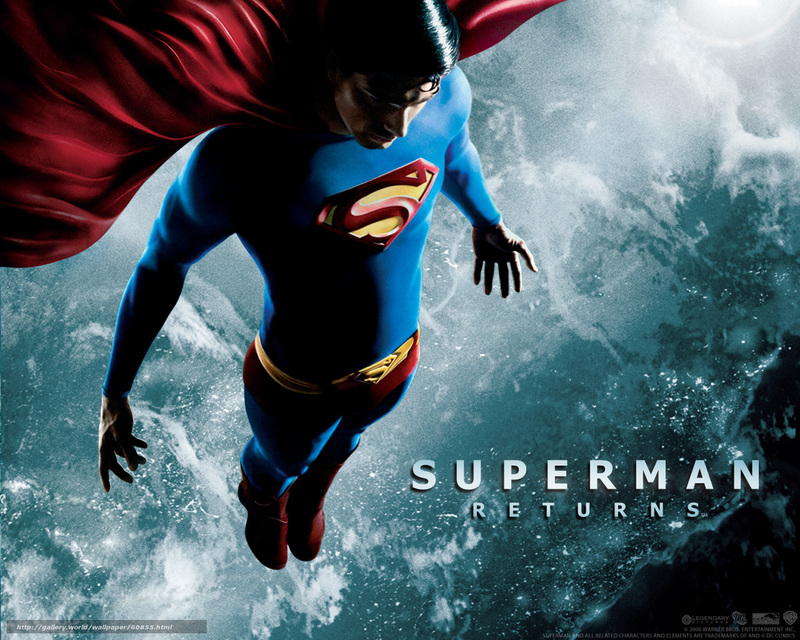 It was like Superman Returns was a kind of fast-release euphoric, aided by marathons of Lois and Clark. I wanted that movie to be so good so badly that it actually took a week or two before I actually said something about my disappointments in it. I wanted to root for Superman for a reason other than the sole fact that he was Superman. I just felt like there was something missing in him and when I talked about it to one of my friends, she said, “You know, we’ve been watching all this Lois and Clark and it’s not real Superman. I mean, we went into the movie saying, ‘Clark-Clarkitty, Clark, Clark, Clark’ when he’s not the point. The point is Superman”. And there it was. That was it; I was putting the emphasis on the wrong syllable and by doing so, had not only approached Superman Returns the wrong way but all of the Superman mythos. Impressively, I felt very deep and very dumb at the same time. You can’t stay up here all day, Clark! Go down there and make some friends! But in the last couple of years, I don’t think I was completely wrong; there was something in that campy little show from twenty years ago, inverted as may have been. I don’t think that Superman is supposed to be the detached god he was in Superman Returns. Relationships are what shape him as a character. That was the fun of Lois and Clark, watching him connect with people and the fact that he could both in and out of the suit. That’s what I felt I was missing in Superman Returns: Supes seemed to be operating on a wavelength so different from the people around him that you couldn’t believe the interactions he had with them. All the people in Superman’s life from his parents to Lois and even Lex Luthor shape who he is and without solid, dynamic relationships with them he kind of gets lost in a bunch of special effects. So yes, I know Superman has a long history far beyond Lois and Clark and I know that in his grand pantheon of comics, shows, and film, it’s not much. But my introduction to the Man of Steel came when I was very little watching that wonderfully ridiculous show. And in that summer that seemed full reflected bullets and heat vision, it helped me figure out why I still thought Supes was worth the hype.